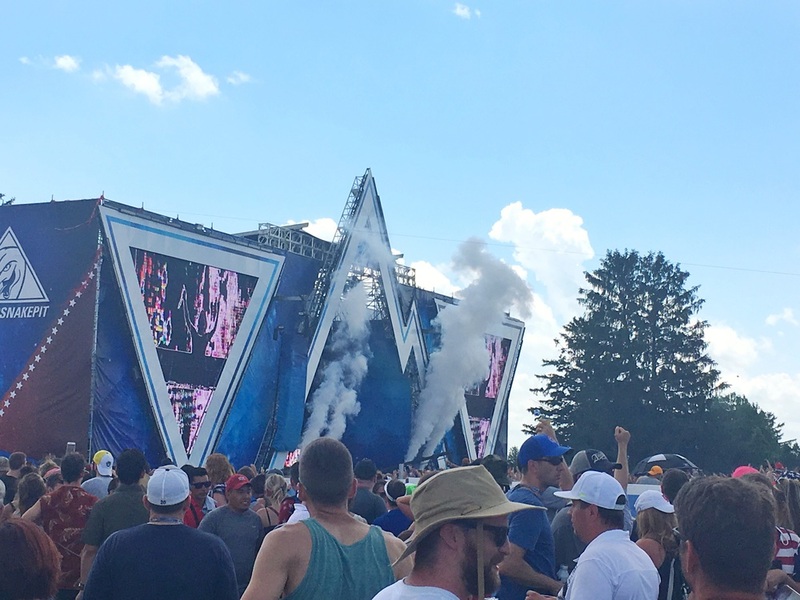 My first month as a graduate ended with a trip to the 100th running of the Indy 500. I hadn’t seen my childhood friends Bindu and Anila for several years. Memorial Day weekend, when the Indy 500 is held, was the perfect time to visit. I packed my bags and headed for Indianapolis. The day of the race rolled around. We put on favorite jorts and stocked three coolers full of beer. With our coolers and a modified stroller, used to tote the coolers around, we set off for the race. Once we got as close as Ubers were permitted to bring us, we strapped our coolers into the baby stroller and headed towards the race track. After a sweaty one mile walk, we arrived at the edges of the race track where we passed through security. Security: You can’t bring that thing in. Security: Whatever contraption you have your coolers strapped into. Us: Well, this is a modified stroller. We’ve taken out the seat and added in support so we can seat our coolers in it. It said online that strollers are a permitted item. Security: (not amused) It’s not a stroller. There’s no child in it. You can’t bring it in. After disposing of the stroller (that wasn’t apparently a stroller), we journeyed through the underground tunnel that took us underneath the race track and popped us out in its inner circle. The track’s inner circle was a mini town, with shops, restaurants, and personal vehicles driving within its bounds. Racers drove their cars into the streets of this mini town, allowing attendees a glimpse at their favorites before the race began. Fans engaged in colorful, animated conversations as the sun (and beer) went to their heads. I threw on my baseball cap before the same could be said for me. Our trek to where we would view the race from had only just started. There was still a maze of 1.5 miles to go (the track is 2.5 miles per lap). This wouldn’t have been much of a issue, aside from the fact that we now had no baby stroller and three excessively heavy coolers filled to the brim with beer. Needless to say, this one got marked as “leg and back day” in my workout journal. One tiresome walk later, we finally made it to our spot. Friends of friends had arrived days prior to snag a viewing spot and were nice enough to share. Somewhere between lathering myself in sunscreen and trying not to melt away, I failed to realize that the Indy 500 began with a rolling start. By the time I realized that the race had begun, the 33 cars were veering around the track at full speed. Then began the game of bouncing between drinking gatorade and beer to avoid dehydrating in the heat. There wasn’t much anyone could do about the fact that we were all melting and would probably be leaving with some killer ankle tans (I left with a ridiculously prominent ankle tan). Several hours and 200 laps later, the cars had driven 500 miles and crossed the finish line within split seconds of each other. 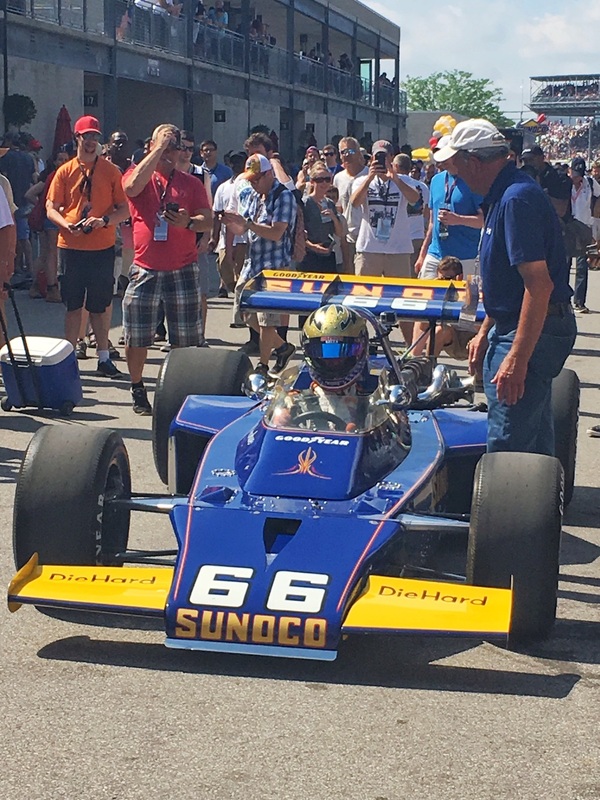 Rookie Alexander Rossi took home the trophy. Now began the waiting. We settled back in comfortably as we waited for the 400,000+ attendees to stream out. An hour later, we made it back to a friend’s car. As we proceeded to drink a fishbowl’s worth of water, we realized that the car’s battery had died. This is why Uber exists, right? 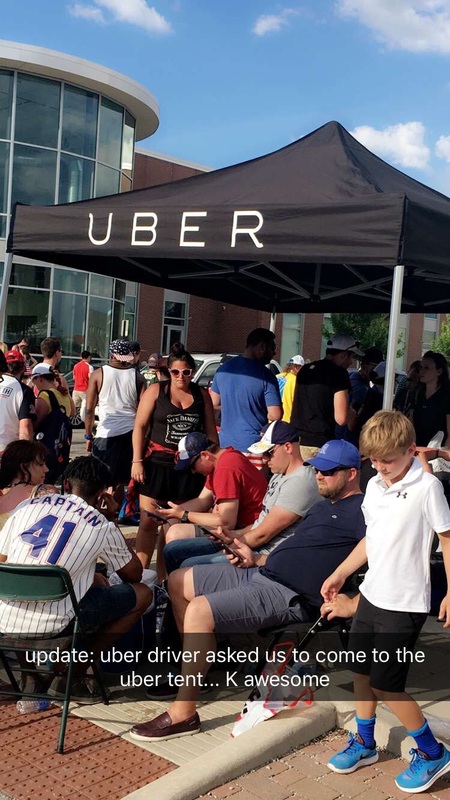 Unfortunately, Uber uses preset pick-up locations for large events, such as the Indy 500. Instead of heading to the preset pick-up location, we thought the smart decision would be to find the perimeter of where Uber had set its pick-up limitations and then order a car from there. We did end up finding an Uber. We were also ended up being told that the Uber would pick us up at the preset Uber pick-up location. So much for trying to outsmart Uber.